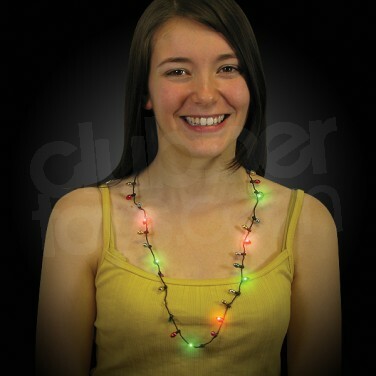 Go for all out bling with your party look and accessorise with a flashing party necklace! 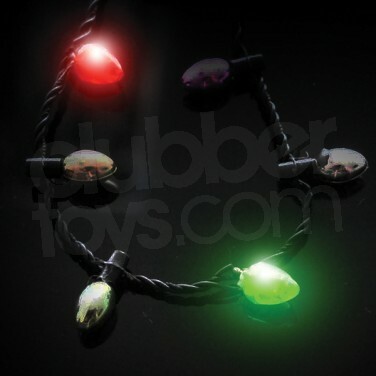 Perfect for parties and events, 28 multi coloured mini baubles add a splash of colour to your look, eight of which are lit with red and green LEDs for extra festive fun, shining in three cool modes! 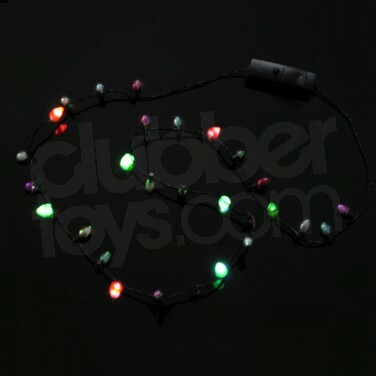 Set on a black safety necklace with batteries included, this party necklace is a must for your celebrations! 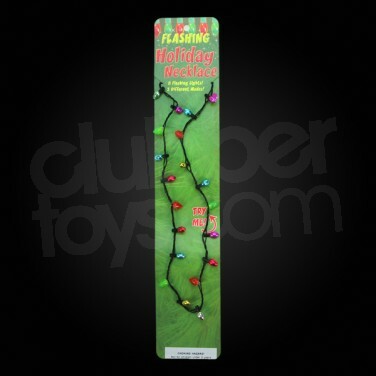 Flashing Party Necklace Glitz up your party gear in fabulous flashing lights with the Flashing Party Necklace. Eye catching and funky, customise your night out!